Strong, thriving businesses and communities need educated, talented individuals to lead the way for a successful future. Wood Communications Group has over 30 years of experience in developing community-wide leadership programs aimed at current leaders and future leaders, as well as tailored leadership programs for businesses and organizations around the country. Below are some examples of the leadership development programs that Wood Communications Group has helped develop over the years. Leadership Greater Madison (LGM) provides advanced leadership training to help future community leaders become more aware of the issues affecting our area and the opportunities that exist to get involved. The program focuses on helping participants learn how to develop in-depth analysis of, identify resolution management approaches to, and communicate about, critical public issues while placing special emphasis on contemporary issues, challenges and opportunities, as well as “real world” options and experiences. The hands-on work of the program will focus on specific issues affecting the Dane County area. Participants will serve on an issue team and hone their leadership skills through a series of hands-on exercises related to understanding and analyzing the issue, informing elected officials and opinion leaders about the issue and collaboratively identifying and advocating possible approaches to the challenges and opportunities identified. Leadership Greater Madison is a joint effort of the Greater Madison Chamber of Commerce and Wood Communications Group. To learn more about LGM, or to apply to participate in our next class, please click here. • Enhance public understanding of how local government is funded and operates. • Stimulate greater public engagement with and participation in local government. • Encourage the use of sound, relevant and balanced research in the development and adoption of public policy. 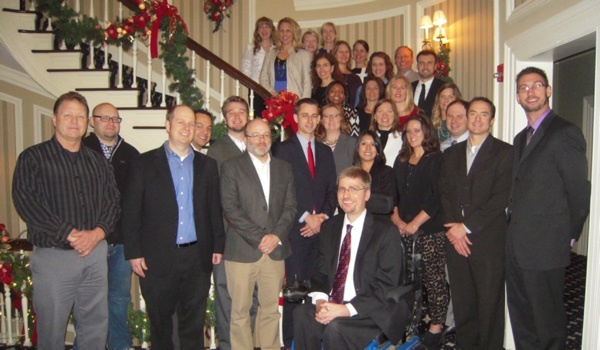 From 2006 to 2013, approximately 300 participants who lived or worked in the greater Madison area participated in Civitas and were empowered to become the next generation of community leaders. 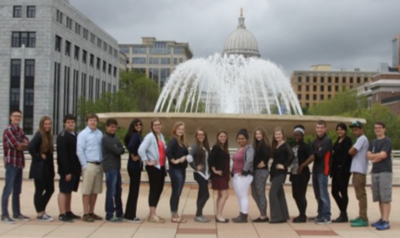 Leadership Greater Madison-Youth (LGM-Youth) is a civic leadership development program for high school sophomores in Dane County. LGM-Youth was launched in February 2015 with a pilot class of 18 students from nearly a dozen school districts. The program is comprised of a variety of hands-on, experiential learning opportunities that help young people learn about the community in which they live and – more importantly – allow them to see the leadership role they can play in that community. The monthly, day-long sessions include a wide range of leadership skill development activities and exercises; lively discussions and interactive conversations with local experts; a team project; and an invaluable opportunity to connect not only with youth from other schools, but also with a wide variety of community leaders from various backgrounds.